Wes Loper merchandise is now available. To order, fill out our merchandise request form or contact our management office for phone orders. 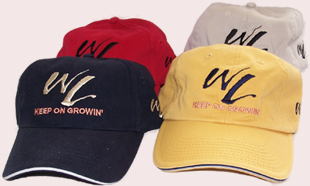 Wes Loper's "Keep On Growin'" baseball caps are made of 100% cotton and feature an adjustable strap in back. Available in Black, Pink, Red, Tan and Yellow. 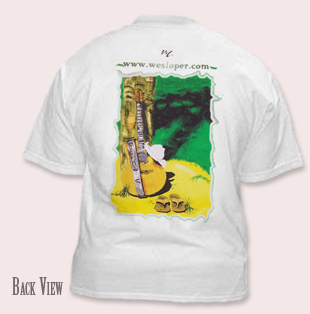 Wes Loper's "Keep On Growin'" T-shirt is made of 100% Cotton, is pre-srunk and features full art on the back and the "WL Keep On Growin'" logo on the left front chest area. 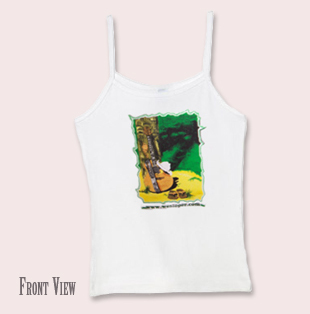 Wes Loper's "Keep On Growin'" ladies tank T-shirt is made of 100% Cotton and is pre-srunk.